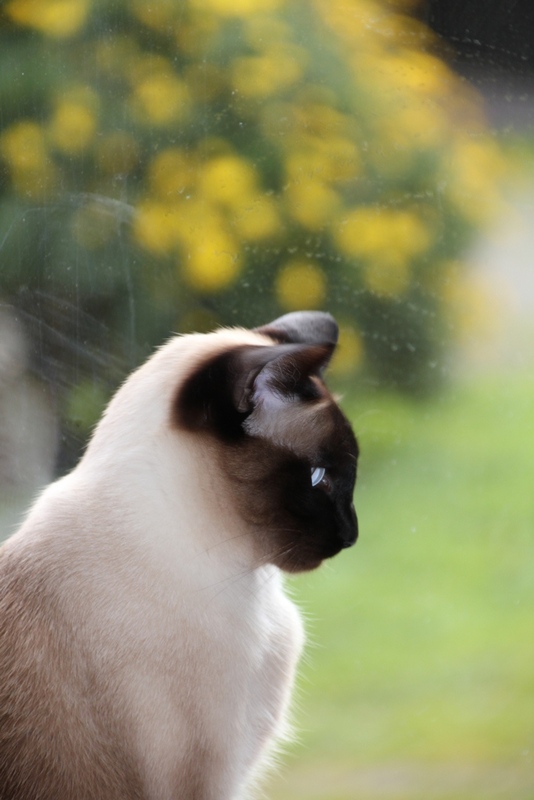 We had wailing cat ‘sirens’ in the car all the way from our old house to the new one – about 30 minutes of anxiety for all of us. So I was more than a little worried about Luna and Clio, and wondered how they would settle into their new home. As it turns out, there was no need for concern. They settled in VERY WELL! After 4 hours of hiding under the bed, they decided to come out and explore their new world. Unfortunately this was at midnight, just as we were heading off to bed. Our sleep was punctuated by miaows of discovery, and the odd game of chasey – testing out the long hallway. In they morning they were excited about checking it all out again with me, miaowing loudly at each new discovery. 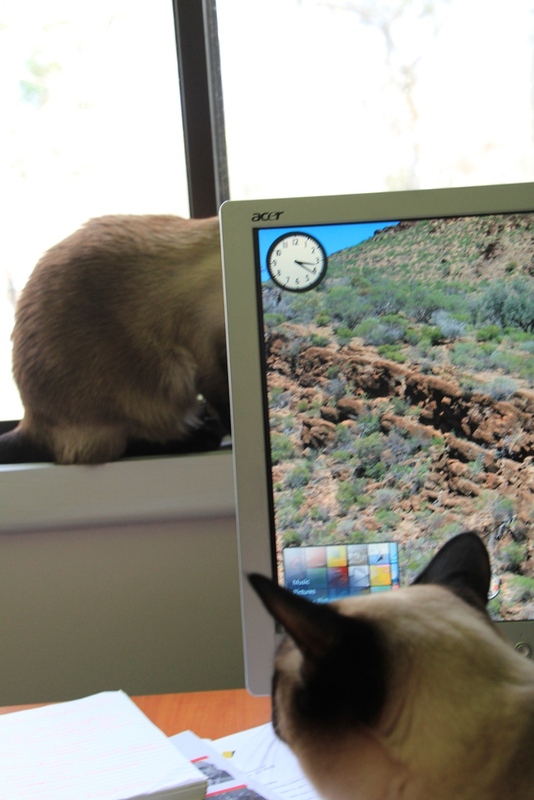 Within a day, they had worked out all of the best places to sit and luxuriate, or to play. For those who love cats, here are some photos of Luna and Clio making use of their favourite spots. 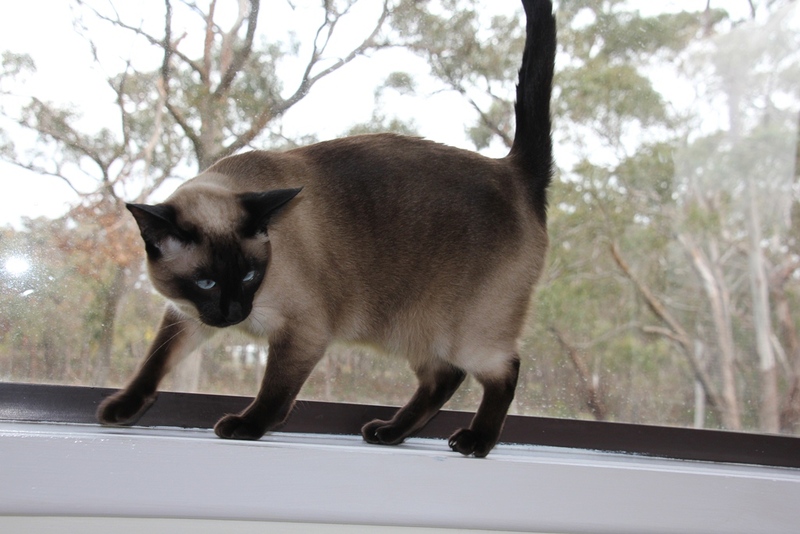 Both cats love sitting on the window ledge in the bedroom. This gets full morning sunshine. 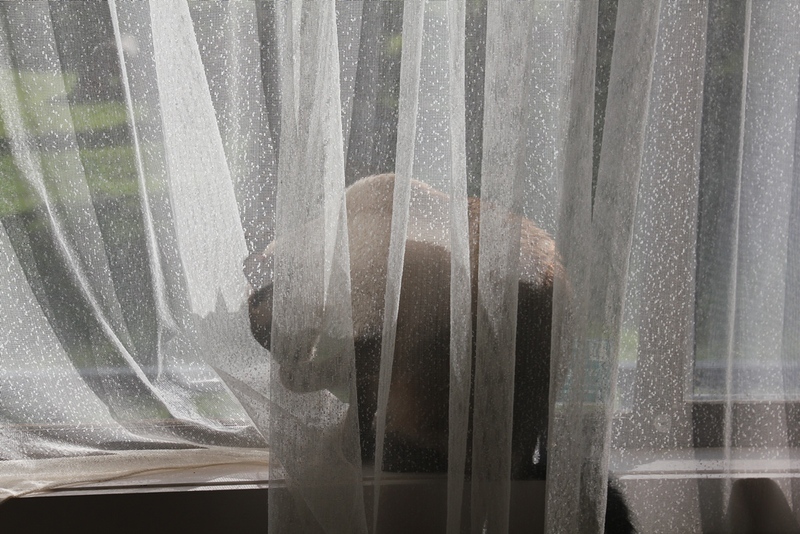 Clio is not used to fragile curtains…. she created this rather large hole, at first by accident, and then having fun, made it larger. 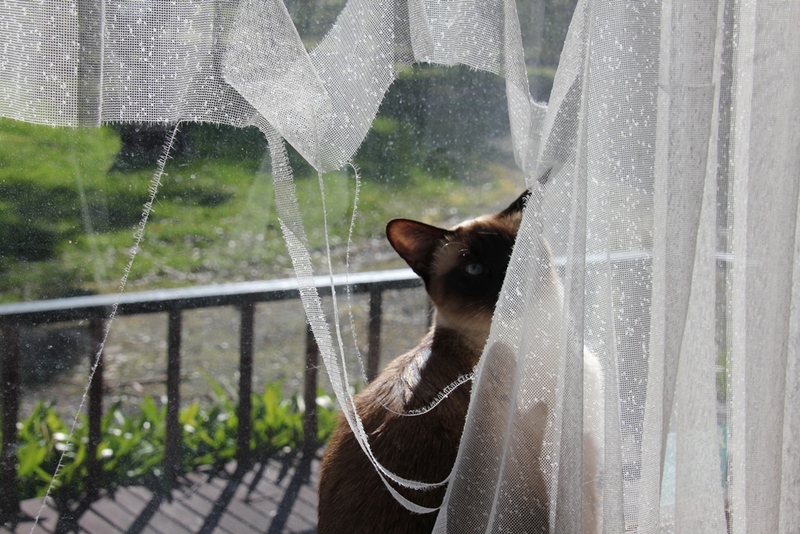 Needless to say, the new curtains are made of MUCH stronger stuff which the cats can’t tear. It’s sometimes difficult to work when the cats need attention. They certainly know how to get it!!! Great photos! Glad they are settling well into their new home! Thanks. 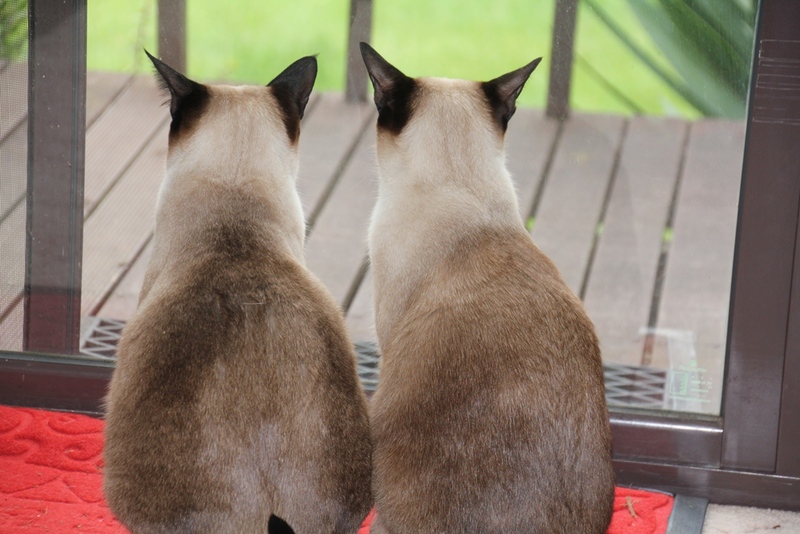 Yes, the next step is to finish the cat enclosure so they can go outside. Now that the weather is fining up a little, they will love that.